Wind power may become a mainstay of the future global energy system. It accounted for about five percent of global electricity production in 2017 (compared to about two percent for solar power). Wind power is remote from most people’s everyday lives, because it is produced mostly where few people live. The goal of this distillate is to bring wind power closer. We introduce the wind resource, wind power’s past and current deployment, the anatomy of turbine blades and generators, its environmental impacts, and the policies and practices that are facilitating its integration into the overall electricity system. This report is one in a series of “distillates” from Princeton University’s Andlinger Center for Energy and the Environment, each of which introduces a single low-carbon energy option and addresses both technology and policy. The distillates seek to be neutral with respect to each option’s future, avoiding both hype and negativity. This is the fifth such distillate. The previous distillates dealt with grid-scale storage of electricity, small modular nuclear fission reactors, magnetic confinement fusion energy, and solar power. The intended audience for the distillates is anyone who has an appetite for science and technology; the report is written to be accessible to a wide range of readers. Four themes affecting the future of wind power recur throughout this distillate: the wind industry is maturing; it is innovative; an important part of its future is offshore; and it is being integrated into electricity grids in spite of wind’s variability and limited predictability. Figure ES.1 shows the annual additions to global wind power capacity from 2001 to 2017, when total globally installed wind power reached 540,000 megawatts. From 2001 to 2012, the additional capacity in each year was larger than the year before, but after 2012 the annual additions were sometimes larger and sometimes smaller, with only a minimal upward trend. The growth pattern in this later period may suggest that wind more resembles a maturing industry than a newcomer. About one-third of global installed capacity is in China, about one-sixth in the U.S., and the rest elsewhere; these fractions are changing slowly. The average capacity of a new onshore wind turbine now exceeds three megawatts, and it too is climbing slowly. The average height of the tower and its visual impact on a landscape are growing gradually as well. Gradual change is further evidence that the industry is maturing. Wind power expansion has been helped by significant government incentives world- wide, and many of these incentives are now shrinking. Meanwhile, a host of evolutionary changes in wind power technology are continuing to reduce costs. Figure ES.1: Annual additions to global installed wind power capacity, 2001-2017. By the end of 2017, the global total reached 540,000 megawatts. One megawatt is one thousand kilowatts. Source (redrawn): Global Wind Energy Council, http://gwec.net/global-figures/graphs/. Today’s blade is hollow and made of fiberglass braced by a wood frame, not unlike a giant canoe (see Figure ES.2). Many technological innovations in the wind industry are improving the trade-offs between aerodynamics and structural strength that govern blade design. New materials are offering high structural strength and low weight at lower cost. Blades are getting longer and are being shaped more cleverly to improve their performance. As a result, new wind turbines are able to produce electricity from winds at both lower and higher speeds than older generations of turbines. Other technological innovations reflect advancements in the conversion of the energy in the rotating blades into electricity. The blades of a large wind turbine rotate quite slowly, typically taking six seconds to complete one revolution (one-sixth of a cycle per second), at their fastest. By contrast, the shaft inside the turbine’s electrical generator must rotate far faster to produce the high-frequency required for grid electricity (60 cycles per second in the U.S.). Mechanical gears connecting the blades to the generator can produce this frequency multiplication and used to be present in all wind turbines, but they are prone to wear and require substantial routine maintenance. An alternative is the direct-drive generator, which does away with the mechanical gears and achieves the required frequency multiplication by combining the electrical power produced by many pairs of magnets. These are high-performance permanent magnets are shown in Figure ES.3. 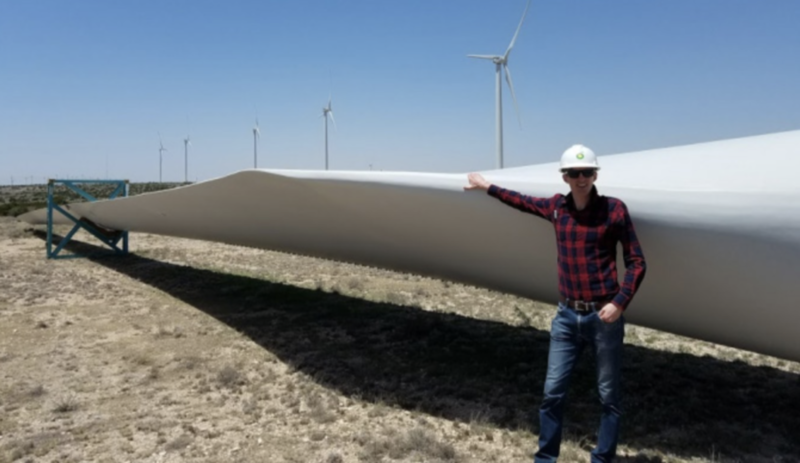 Figure ES.2: A 50-meter blade stored at ground level, being examined by one of the authors (Greg Davies) at the Sherbino 2 wind farm in western Texas. Photo: Ryan Edwards. Meanwhile, other innovations have driven down the cost of operating a wind farm. Nearly all wind turbines are located in wind farms, in clusters of tens or even hundreds of turbines. A wind farm functions as a single unit regarding its financing, its relationships with local communities, and its negotiations with the grid. Wind farm operators are improving their decisions about the layout of the turbines on a farm, reducing the negative effects on a downwind turbine caused by the wakes of upwind turbines. The operators are also making better use of weather forecasts, and they are reducing maintenance costs by using drones for blade inspections. Figure ES.3: The manufacture of a permanent-magnet generator. The permanent magnets are the silver brick-shaped objects, arrayed end-to-end along the inner perimeter of the stator; the left hand of the operator standing inside the stator is nearly touching one. Photo: General Electric, https://www.ge.com/reports/where-ge-makes-haliade-turbines/. Although offshore wind power currently accounts for about five percent of total global wind capacity, it may conceivably grow over the next few decades to become even more significant than onshore wind. Relative to onshore wind farms, offshore farms access steadier and stronger winds, and they are often closer to coastal cities, where demand is concentrated. Almost two-thirds of installed offshore capacity today is located in the United Kingdom and Germany, with China in third place. In the U.S. only one offshore wind farm now operates, off Block Island, Rhode Island, with five six-megawatt turbines. 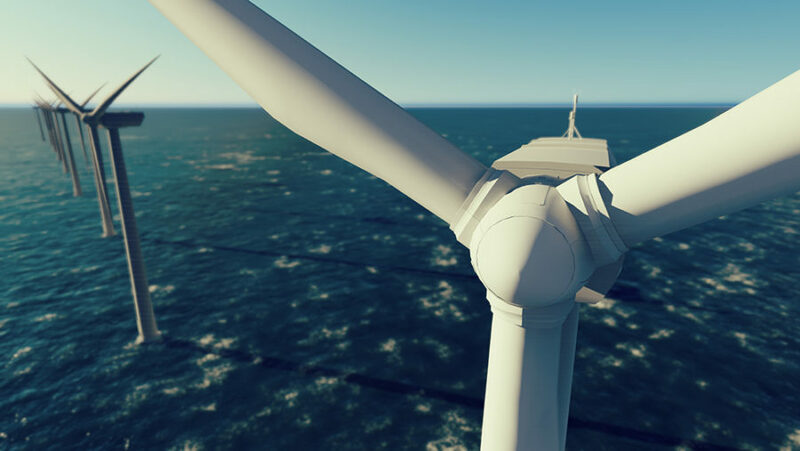 However, several northeastern states are encouraging wind farm construction off their coasts, and a burst of activity may lie immediately ahead. Costs for offshore wind power are falling. One important reason is that offshore wind turbines are getting much bigger. This change is occurring rapidly, rather than gradually: eight-megawatt turbines are already in production, and 12-megawatt turbines have been announced by several manufacturers. The blades on 12-megawatt turbines will be just over 100 meters long, twice as long as those on the three-megawatt turbines deployed onshore. 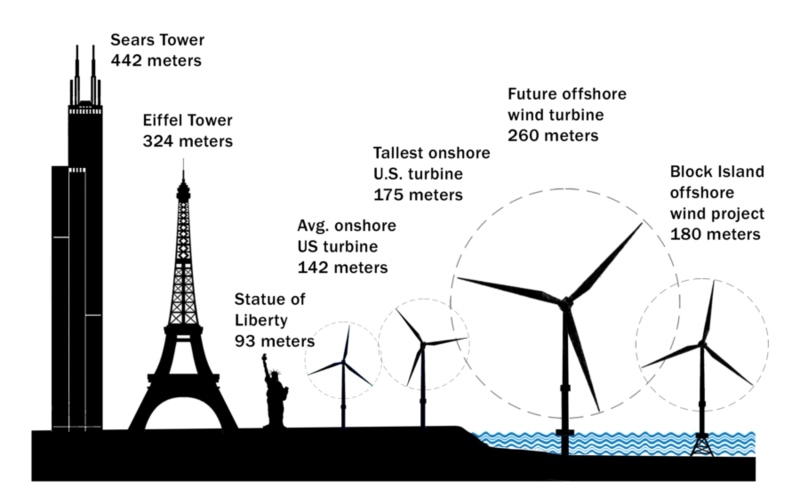 See Figure ES.4, where the heights of the average and tallest U.S. onshore turbines in 2017, two offshore turbines, and three iconic structures are compared. There are plans for offshore wind farms as large as all but the largest onshore wind farms: their capacity could reach 1,000 megawatts (imagine 80 12-megawatt turbines). expensive structures (a platform in deep water rather than a foundation on land) and are more difficult to maintain (access to offshore sites is more complicated). Because maintenance is more difficult offshore, the developer will frequently choose a turbine whose parts last longer and are more easily replaced, even when the turbine’s initial costs are greater. The direct- drive generator shown in Figure ES.3 is a case in point, preferentially chosen today for offshore wind farms. Figure ES.4: Offshore wind turbines are already as large as the largest wind turbines and are slated to become much larger. Wind turbine sizes are compared to the Sears Tower in Chicago, Statue of Liberty in New York City, and Eiffel Tower in Paris. Dashed circle indicates the path of the blade tip. One meter is 3.28 feet. Source: Bumper DeJesus, Andlinger Center for Energy and the Environment. The integration of wind power (and solar power) into an electricity grid increases the need for grid flexibility, because not only does demand vary, as it always has, but now the grid also hosts only partially predictable, variable energy sources. Both surpluses and shortfalls of electricity supply can arise when wind power contributes a large fraction of a region’s total electricity production. Consider the two graphs in Figure ES.5. 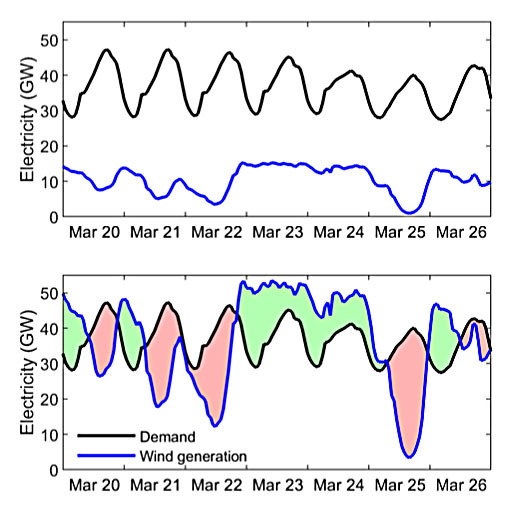 The top panel compares actual power demand and actual wind power output for one week (March 20-26, 2017) in Texas, when wind power accounted for 28 percent of total power generation. In the hypothetical bottom panel, a simplistic future is imagined for Texas where the same wind power pattern is preserved but the absolute level of the wind power is raised so that wind output equals total demand. As a result, periods of extra wind alternate with periods where wind power is insufficient. Although no real future will look like the bottom panel, the poor match-up between aggregate demand for power and supply exclusively from variable energy resources is indicative of challenges ahead. Whenever wind power becomes a significant fraction of total power on a grid, an additional requirement imposed on the wind turbines is to assure grid stability when a sudden change in voltage and frequency (a “fault”) occurs, as would be the result, for example, if one of the grid’s major power plants goes offline or a major load comes online. The first large wind turbines that produced grid power were so inflexible that they were immediately disconnected when the grid experienced a significant disruptive event. The more recently installed wind turbines with their advanced power electronics can stay online during grid disruptions and regulate their output power to keep the grid’s characteristics within the narrowly specified ranges. The operator of a wind farm with advanced turbines also contributes to grid stability by coordinating the output of the turbines to constrain within narrow limits both the farm’s total output power and the rate at which total power can ramp upward or downward. “Grid friendly” wind power is becoming the new norm. 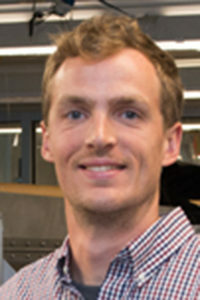 Levi Golston is a Ph.D. student in the Department of Civil and Environmental Engineering at Princeton University, where he is advised by Prof. Mark Zondlo. His dissertation examines methods for quantifying localized emissions of atmospheric species relevant for air quality and climate. A particular focus in this work has been on developing the capability to use small unmanned aerial systems to more easily measure methane leaks from natural gas systems. 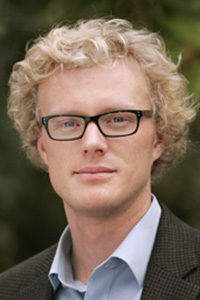 Previously at Princeton, Levi was the chair of the Princeton Energy and Climate Scholars (PECS) leading to a broader view of current environmental issues. He is originally from Texas and received his undergraduate degree in Environmental Engineering at the University of Oklahoma. Ph.D. graduate in Mechanical and Aerospace Engineering from Princeton University. His research focused on battery energy storage, and in particular new methods for battery management to improve system performance and lower costs. 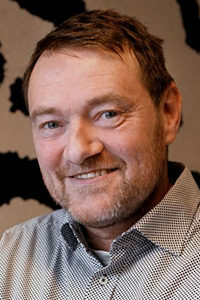 He has a specific interest in technologies and policies to drive the adoption of low-carbon energy systems. 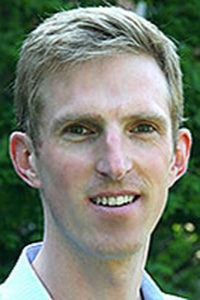 He was involved with the Princeton Environment Institute’s Science, Technology and Environmental Policy (STEP) program and the Princeton Energy and Climate Scholars (PECS). As an integral part of this, he worked with a small team to provide guidance to Princeton University on emissions and energy planning, as well as developing a white paper for institutional decision makers on this same subject. Prior to graduate school he worked for the Australian division of BHP Billiton Petroleum, and completed a B.Sc. 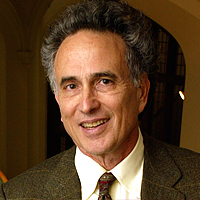 in Theoretical Physics and B.E. in Mechanical Engineering from the Australian National University. 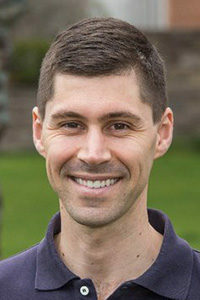 Mark A. Miller is a postdoctoral researcher at Princeton University in the Department of Mechanical and Aerospace Engineering. 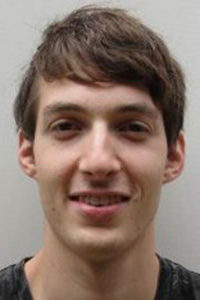 His main research focus is on wind turbine aerodynamics and wake structure scaling in collaboration with Professor Marcus Hultmark. This work aims to improve our understanding of the flow physics of rotating systems and how current models and design tools can be improved for future wind turbines. Mark earned his doctorate from Princeton University in 2018, and holds degrees from the University of Kentucky, where he was a NASA Space Technology Research Fellow. 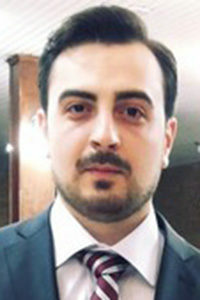 Dr. Mostafa Momen is currently an associate research scientist in the Civil Engineering and Engineering Mechanics Department at Columbia University. He received his M.A. and Ph.D. in the environmental fluid mechanics laboratory at Princeton University, where he was awarded the Gordon Y.S. Wu Fellowship in Engineering (2012-2016). His interdisciplinary research is centered around the dynamics of complex environmental fluids with a main focus on computational fluid dynamics, wind energy, fluid-structure interactions, and hurricane simulations. Before joining Columbia, he was a postdoc in the School of Earth, Energy and Environmental Sciences at Stanford University, where he studied plant hydraulics using remote sensing satellite data (2017-2018). During the 2014-2015 academic year, he was also a Ph.D. exchange scholar in the Department of Mechanical Engineering at MIT. Disclosed research funding over the past five years as of March 2019. 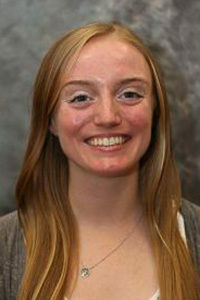 Tara (Nealon) Hodson is currently a high school Physics, Robotics, and Engineering teacher at a private school in New Jersey. She received her Bachelor of Science in Mechanical Engineering from The College of New Jersey in 2015 and her Master of Science from Princeton University in 2018. Her research at Princeton was with Professor Marcus Hultmark, and it focused on simulations of wind turbines and the effects of using experimental airfoil data as input for both LES and BEM. 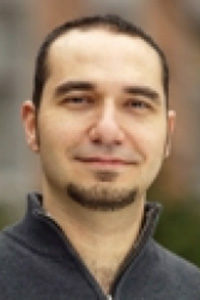 Elie Bou-Zeid is a professor of Civil and Environmental Engineering and the director of program in Environmental Engineering and Water Resources and Civil and Environmental Engineering at Princeton University. His current research focuses on combining numerical, experimental, and analytical tools to study the basic dynamics of flow and transport in environmental systems. The aim is to study how Environmental Fluid Mechanics relate to problems in climate change, air quality, hydrology, and sustainable development. 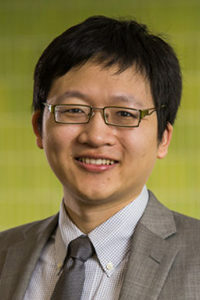 Minjie Chen is an assistant professor in the Department of Electrical Engineering and the Andlinger Center for Energy and the Environment at Princeton University. His primary research interests are in the design of high-performance power electronics for emerging and high-impact applications, including renewable energy, grid-interface power electronics, and miniaturized power management systems. He received his B.S. from Tsinghua University in 2009, and his S.M., E.E., and Ph.D. degrees from MIT in 2012, 2014 and 2015, respectively, all in electrical engineering. He is the recipient of the NSF CAREER Award, the Chorafas Award for outstanding thesis at MIT EECS, and two Annual Prize Paper Awards from the IEEE Power Electronics Society. He is an Associate Editor of the IEEE Transactions on Power Electronics and IEEE Journal of Emerging and Selected Topics in Power Electronics. Disclosed research funding, consulting, and board memberships in the energy sector over the past five years and current financial interests in the energy sector as of August 2017. This work has been supported by the Andlinger Center for Energy and the Environment at Princeton University. The distillate project was conceived by Emily Carter when she was the Andlinger Center’s founding director, and furthered by Lynn Loo, the present director. Lynn Loo’s encouragement of the wind distillate was accompanied by extraordinary patience, as we gradually understood wind power deeply enough to write simply about it. In May 2017 six of the co-authors of this distillate had the pivotal experience of visiting a real wind farm, BP’s Sherbino 2, in Pecos, Texas. Our host, Jason McDonald, deserves special thanks. We have also benefited greatly from the advice of others involved in the commercialization of wind power, notably Peter Giller, Abe Silverman, Alistair Warwick, Pengwei Du, Kevin Hanson, Aaron Townsend, Paul Wattles, and Kathryn Gerlach. At Princeton, we received technical guidance from Roan Gideon, Pedro Haro, Tom Kreutz, JunYu Lei, and Luigi Martinelli. The detailed reviews by Steve Corneli, Elena Krieger, Jason McDonald, Samir Succar, Darren Hammell, Trudy Forsyth, Dan Flath, Jeanne Fox, Ron Lehr, Charlie Smith, and Richard Yan were invaluable. We single out Ron Lehr and Charlie Smith for updating us about progress related to wind integration into power markets and Mark O’Malley for a trenchant final review. Jennifer Poacelli and Diane Carlino, successive associate directors for administration at the Andlinger Center, provided professional management of the writing, reviewing, and production. Special thanks to Molly A. Seltzer and Alison Levine for editorial support and to Darcy A. Cotten and Bumper DeJesus for graphic support and production. The Andlinger Center for Energy and the Environment is grateful to the Nicholas Family, the Nomicos Family, and an anonymous donor whose gifts are helping to advance public understanding of critical issues related to energy and the environment through this Energy Technology Distillate.